You guys. I’m obsessed with the new flower shop in my neighborhood: She Loves Me! If you haven’t checked it out, what are you waiting for?! 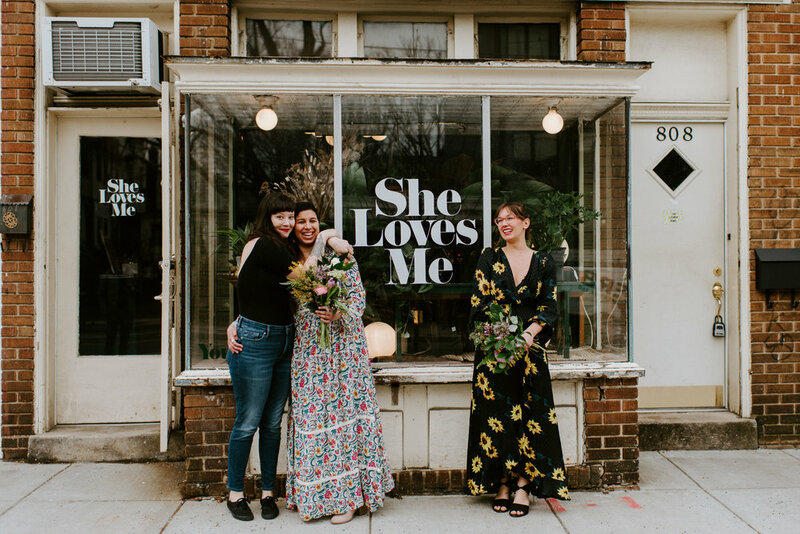 I’m so excited to have these beautiful gals and their blooming business in Petworth, Washington, DC. We shot some brand photos for their social media and had a blast creating some art together! 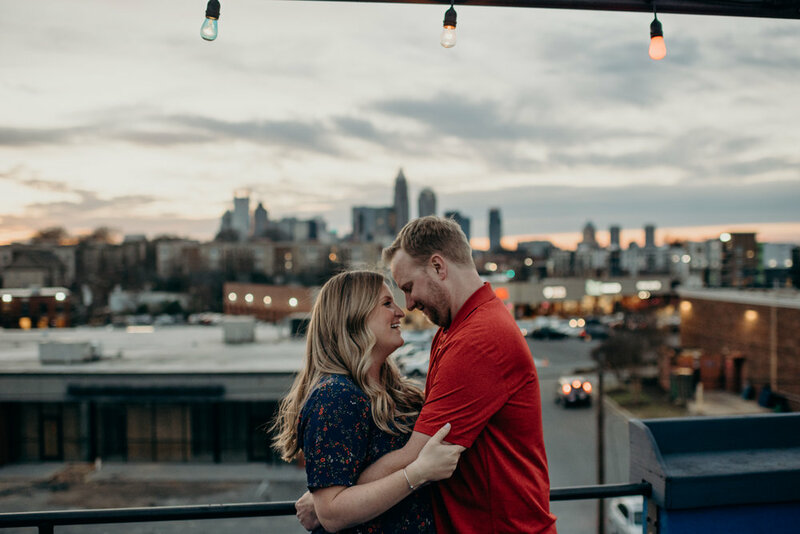 Kalyn and Jon took me on a whirlwind tour of their neighborhood, Plaza Midwood, in Charlotte, North Carolina and it was EPIC. When Kalyn reached out in September, we clicked immediately. I’d been looking forward to meeting her and Jon in real life for several months, and we seriously had the best time running around Charlotte, tasting sour beers, ice cream, and chatting about Stranger Things and Game of Thrones. I loved getting to know these two, and just adored capturing their connection. It was so sweet to hear the story of how Jon planned a surprise proposal in Scotland (which even I knew of before I met these two - blame her sister, Kara!) and all the little details he planned to make it perfect. Amy and Glenn met via work, and built an amazing friendship over concerts, g-chatting about office gossip, and coffee runs. Glenn told me he was totally smitten with Amy during the beginnings of their friendship but that Amy had no clue. When she left for a trip to South America, Glenn soon realized how much he missed Amy. He planned to proclaim his love as soon as she returned, but he spilled the beans via text message three days before she got home. Oops! Amy planned to break the news that she didn’t want to ruin their friendship. When she got home and saw Glenn, she realized she’d never felt more at home. The rest is history! 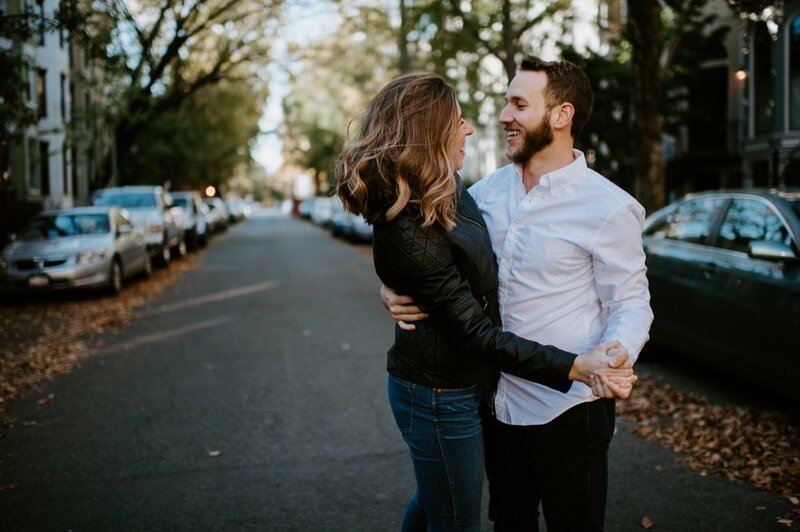 For their engagement session, we took a tour of some of their favorite places together around town: Logan Circle, Capitol Hill, and Union Market. 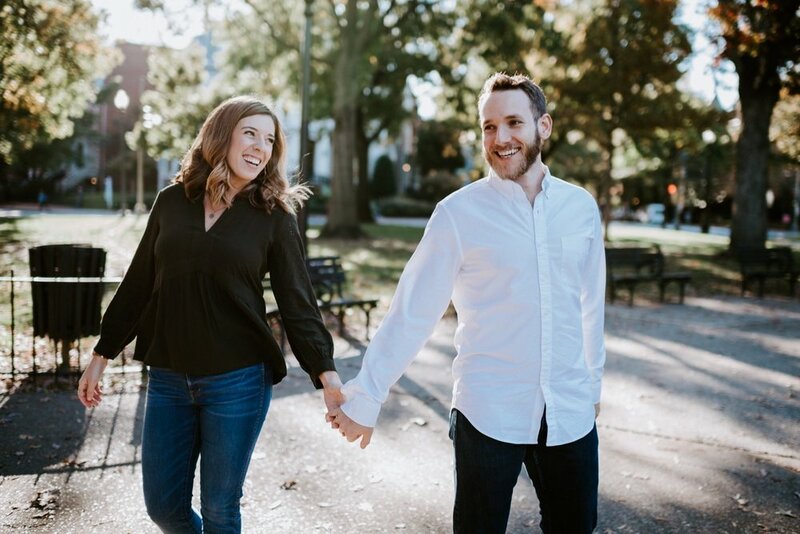 Amy and Glenn are so adorable, and I cannot wait to photograph their wedding day in July!